CrashPlan is a cloud-based program which gives you unlimited backup space and protection against malware. If for some reason you need to uninstall CrashPlan, follow this article to learn how to do this correctly. Remove CrashPlan with the uninstalling software. 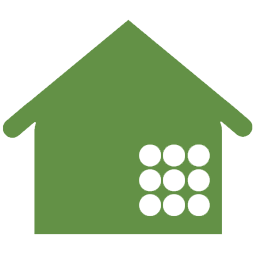 Then quit the CrashPlan application using the drop-down menu in the toolbar. Delete CrashPlan from the Applications folder. Don’t forget to mount the application from its disk image. If you click on it, you’ll find the Uninstall file. 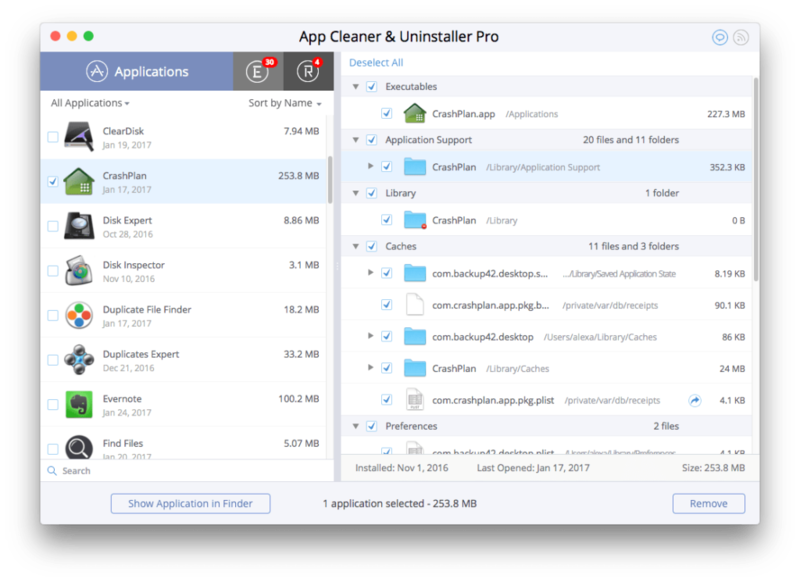 To delete CrashPlan in a few clicks you can use a special tool App Cleaner & Uninstaller. This utility scans the whole HD and searches for applications and all its service files. As well you can find leftovers (remains) of previously deleted apps. 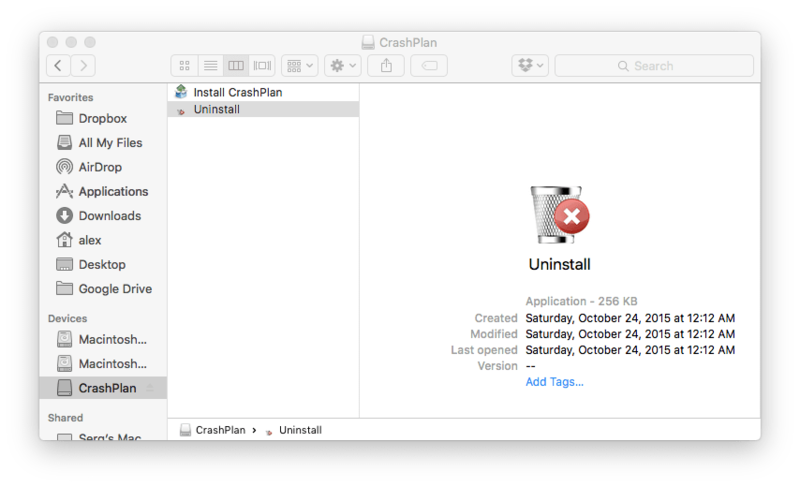 *Please note, with the latest update of CrashPlan, its developers have made it unable by default to uninstall the application. 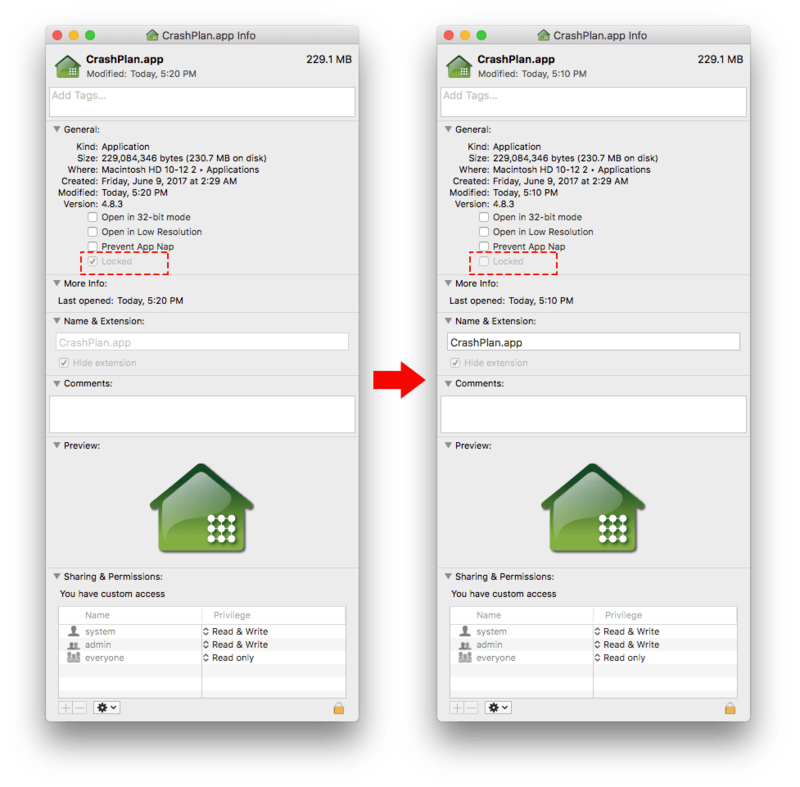 You can check it by calling “Get info” command – you will see that it is locked. 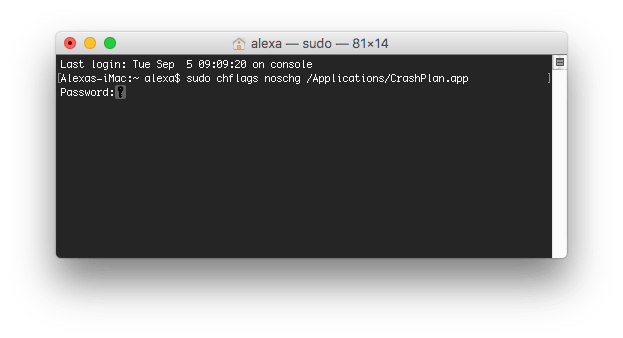 After this, you can easily uninstall CrashPlan from your Mac.